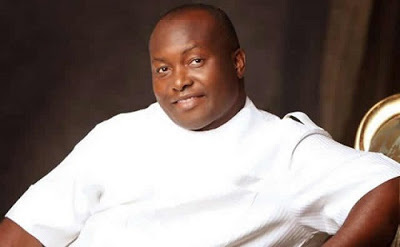 The State Security Service, SSS, has released Ifeanyi Ubah, Chairman of Capital Oil and Gas Limited, after keeping him in custody for almost six weeks. According to Channels Television, Mr. Ubah was released from detention on Monday night. The businessman was arrested by the SSS on May 5, over alleged diversion of petrol kept in his tank farm in Lagos by the Nigerian National Petroleum Corporation, NNPC. He was accused of “economic sabotage” by the NNPC‎ which reported him to security agencies. Ubah had reportedly been involved in the illegal sale of the petrol stored in Capital Oil ‎tank farm by NNPC Retail, a subsidiary of the state oil firm. The NNPC said the petrol kept in Mr. Ubah’s farm was valued at N11 billion, saying it was an attempt by the defendant to cause scarcity of the products in the country. Conflicting ruling by two high courts in Nigeria stalled Mr. Ubah’s initial bail application. While a High Court in Lagos ordered his release, an Abuja High Court approved his continous detention.